The 128-year dynasty of the Komneni (1057 to 1185) was the last great epoch of Byzantium, when the empire had to fend off Turkish and Norman foes simultaneously. Starting with the extremely able Alexios I, and unable now to count on help from the West, the Komneni played their strategic cards very well. Though the dynasty ended in cruelty and incompetence under Andronikos I (the Terrible), it fought a valiant rear-guard action in keeping eastern Christendom alive. 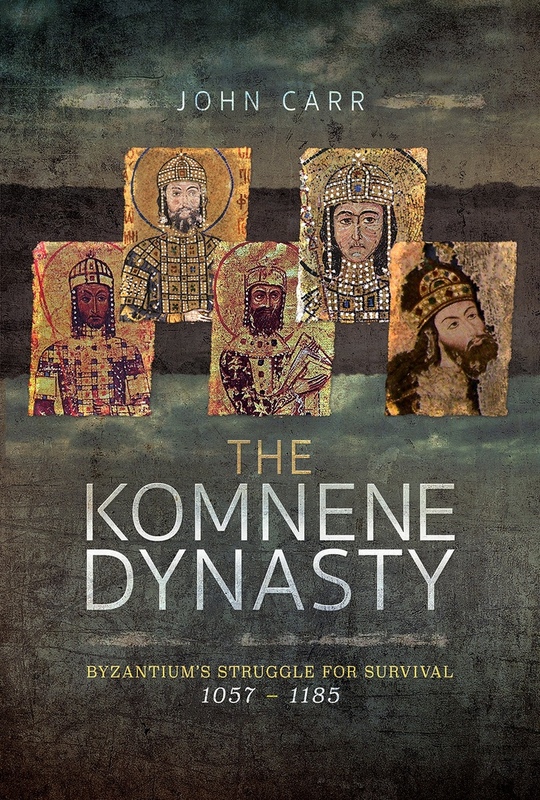 The Komnene dynasty saw several changes in Byzantine military practice, such as the adoption of heavy cavalry on the western model, the extensive use of foreign mercenaries and the neglect of the navy (both of which were to prove a huge and possibly fatal disadvantage). A chapter is devoted to the famous Varangian Guard, which included many Saxons in exile following the Norman conquest of England. The terrible defeat at Myriokephalon in 1176 sealed the doom of the dynasty, preparing the way for the conquest of Constantinople by the Fourth Crusaders.